I don't know what all the fuss is about. I built one just like it this morning before breakfast. It looks like the creature comforts have not been addressed. What looks like a pillow helps with that. If this is eventually going to walk un-tethered. No matter how much confidence he has in it's abilities and safety, it is a long way down, if you fall on your face. Totally impractical and maximum cool! Yes, it looks like a takeback from a Transformers movie, but the overall practicality is there. Exosuits are the future. ... when the balance issues are fully worked out. Call me then and it's my treat at FiveGuys! 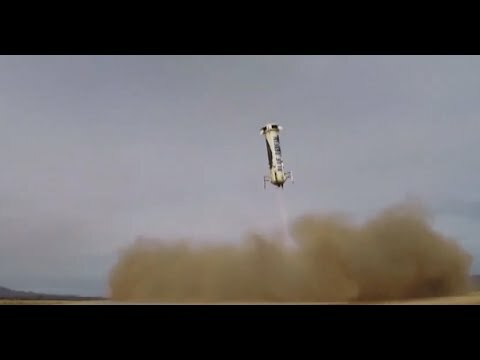 Lest you forget Jeff Bezos is the guy who owns a space exploration company where the rocket lands back on earth the way it left. Thought I'd never see that in my lifetime, except in old 50s sci-fi movies. If they can do this, they can balance a hunk of metal on two legs. Why, BD has already shown how it's done, and that's the company Bezos is thinking of buying (if Toyota doesn't beat him to it). I'll take mine medium-rare, thanks very much. If walking was that easy, everyone would be doing it. 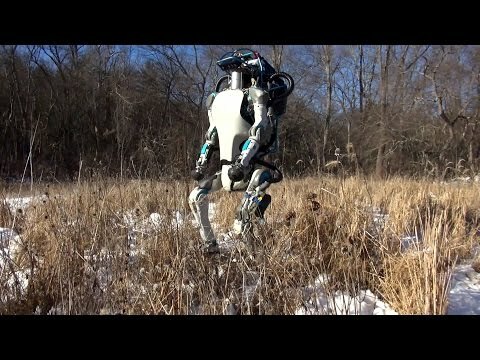 Doesn't Google own Boston Dynamics now? Of course that begs the question: Requiring millions of dollars of sensors and computers, what is the human bringing to the party? Wouldn't a function-specific robot be better than an exoskeleton? 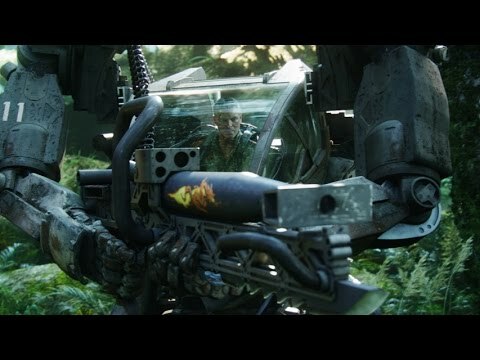 I cringe when I see the exoskeleton walkers in Avatar. Cool looking and well animated, but impractical IMO. 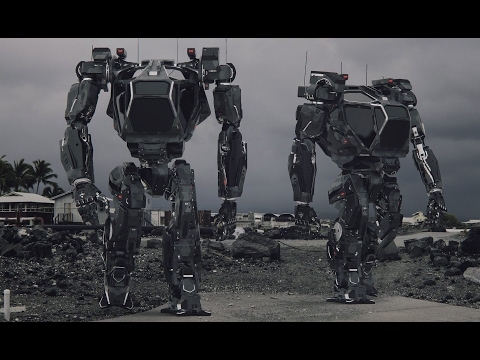 BD appears to have the best tech yet, but I haven't seen them demonstrating an exoskeleton yet. My turn, and we can have the rover pick up for us. Sold! We can watch any of these movies while we eat! what is the human bringing to the party? Wouldn't a function-specific robot be better than an exoskeleton? There's no need to make all machines autonomous in cases where size and weight can be a disadvantage to safety. 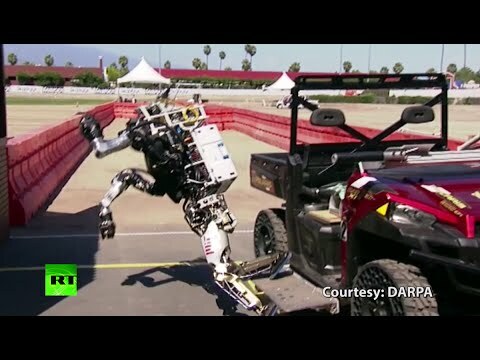 Too, just as human-operated combat robots are more effective at destruction (and fun to watch) than autonomous robots, exoskeletons provide a better melding of human intuition, creative problem solving, and hydraulic strength. Publison, yes Google (actually Alphabet) owns BD now, but they're on record as wanting to sell. We are all in trouble, if one day an exoskeleton could be offered to the general public, like a atv, snowmobile or motorcycle. People can use these devices now to create a nuisance. If you don’t like someone, just go flip their car. The general public would be no more the buyer of an exoskeleton robot than he or she would be buying their own helicopter or any other very expensive piece of equipment. A new helicopter costs about $5-8 million. Your basic exosuit, as might be used for firefighting or rescue, would begin there. Wow, I remember watching that tank rampage live. Dude obviously had issues. You guy's in CA have all the fun. Has it always been that way, or did Wikipedia change their format. I had originally posted that link, but because I couldn't get specific with it, I changed it to a YouTube link instead. Weird. Thought it took. Retried, same results. Hmmm. Not happy. Weird. ThoJught it took. Retried, same results. Hmmm. Not happy. Removing the brackets on plumber, and adding every symbol between words that would work, only brings up a page of no results. @Gordon: I may soon be eating my words (as you eat a Five Guys burger) if James Bruton has his way. If this kid can progress this well in his parents' attic, Lord knows what may be going on in secret labs around the world. Use the link icon to add URL tags. If you press the "Quote" button you can see the added URL tags. I personally don't remember this incident. I'll need to read the above linked articles to see what it was all about. @Gordon: I may soon be eating my words (as you eat a Five Guys burger) if James Bruton has his way. Assistive robotics is the future. While autonomous machines are the ones we see as "real" robots, I feel there is greater near-term potential for truly innovative technologies involving using robots as "amplifiers" for human mobility, intuition, and guidance. A good current example is the Da Vinci surgical robot. The value of the Da Vinci is well documented. Bruton demonstrates that exoskeletons don't have to be the skip loaders from Aliens. 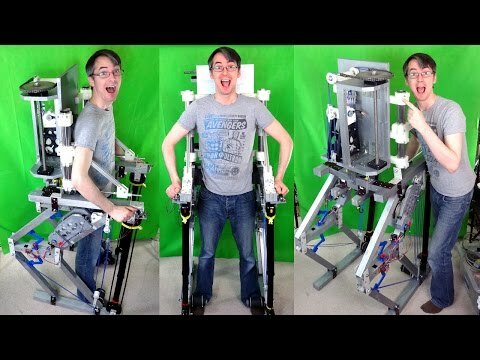 A robotic frame that can help a paralyzed person get around in a bipedal world would be a life changer for these folks. Yes, they already have these in limited degree, but they're not yet commercial products in this country. It's shameful we don't have more to show for our R&D. Add some cameras yanked off that Google self-driving car, and you give that exoskeleton vision. Now it can autonomously navigate hallways for those people with various forms of palsy and other degenerative nerve diseases. Imagine the improvement in quality of life for these people. No more 24-hour assistance. They can do more for themselves, and that's a basic human desire. I'm all for giving robots brains, but I believe we limit our destiny by not considering -- without our becoming the Borg -- how machines can accentuate what we already have, making us Better. Stronger. Faster. Plus, he uses... WOOD! He calls out several silver-painted wood members. This video was from October 2016, so I hope it wasn't posted here before. But it has a little something for everyone, if your into mechanical advantage. I thought #10 looked neat until I realized that it's just a pantograph linkage. It keeps up with no lag at all! Still a nice puppeteering rig, much like "Walking with Dinosaurs". We've been following Martin Molin (#1 in the video) for some time. 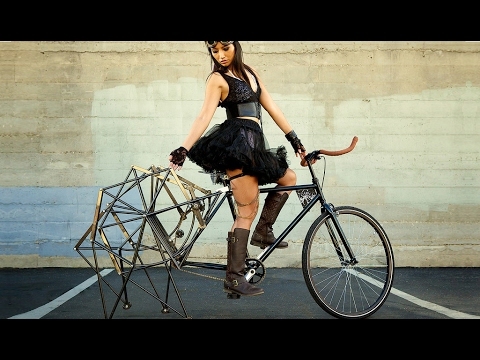 Robotics/complex mechanics in performance art is a growing trend. Glad to see it. Check the guy's facial scars at 1:17. Is that rig three laws safe? He's playing a "scarface" character. See if you can find the full video and it'll make more sense.